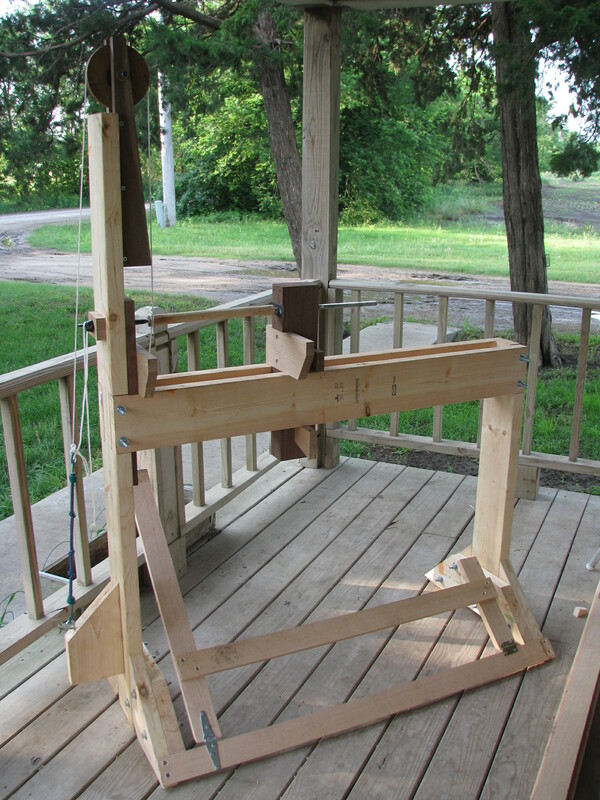 A simple foot operated lathe for turning chair rungs. The frame is dimension pine and the poppets, which house the points and sandwich the piece to be turned are black walnut, with the remaining pieces made of Q.S. white oak. Go to the Traditional Woodcraft page for more on these subjects. 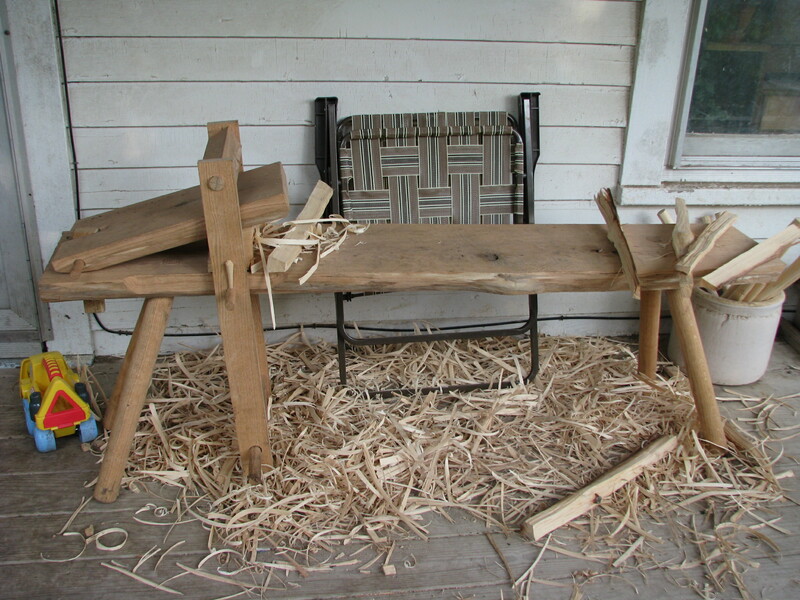 A shaving horse for preparing pieces for the lathe and for finish work in its own right. It is made from part of a red oak that I milled last fall.